LONDON, Aug 29 (Reuters) – Phoenix Global Mining, which is reopening a U.S. copper mine abandoned during World War II when its workforce left to fight, plans to list in New York in September after a disappointing launch on London's AIM market. The London market is dominated by institutional investors and junior miners trading on the AIM market for smaller companies have often struggled. After the commodities price collapse of 2015-2016, new mining listings dried up. There have been a few initial public offerings with the recovery in commodities prices but investor interest in the new stocks has been muted. Following a shareprice consolidation in August, shares in Phoenix that listed on AIM in 2017 are trading at 29 pence, down from a peak of 53 pence in November last year. 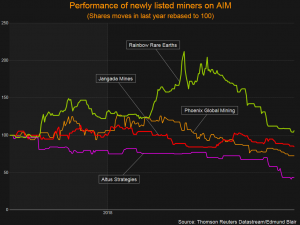 Other recently-listed miners have slipped below their 2017 launch price, including Jangada Mines and Altus Strategies. Phoenix Chief Executive Dennis Thomas said several North American investors had expressed their interest in becoming shareholders, although he declined to name them. The company is staying on AIM, but plans a dual-listing in New York where it plans by the end of September to be on the highest tier of the OTCQX platform for U.S. growth companies and international companies seeking access to U.S. investors. Phoenix's abandoned copper mine in Idaho has established resources of copper, a metal expected to benefit from rising demand as there have been few new discoveries while consumption is forecast to climb. 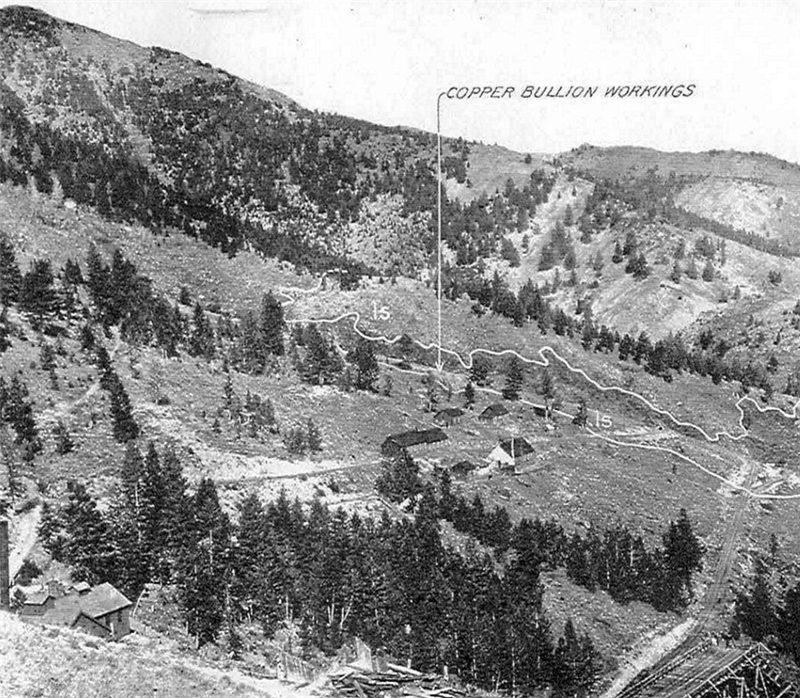 The Empire Mine in Idaho was abandoned in 1942 when its workers were conscripted, but Phoenix estimates only 5 percent of its potential had been explored. "It's derisked. We know it's there. We know we can produce it," Chief Financial Officer Richard Wilkins said. The goal is to have production resume by around 2021. In addition, the company is exploring for cobalt near the town of Cobalt, also in Idaho, where Canadian companies, such as First Cobalt have reserves. Copper and cobalt, both used in batteries, are expected to see demand from increased use of electric vehicles and renewable power, but prices have fallen this year for both commodities as doubts have mounted about consumption from China, the world's biggest commodity user.